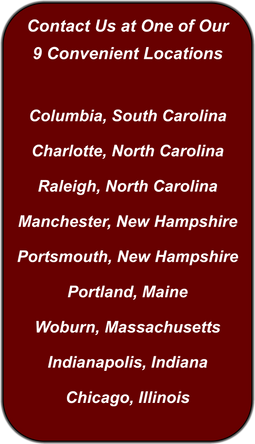 Generally noted throughout the Southeast, New England and the Midwest's hospitality market as one of the leaders in hospitality placement, DWG-HR Hospitality Recruiters now has 9 offices to serve both their clients and candidates. David W. Gladieux, C.P.C., has been in the business of recruiting hospitality professionals since 1990. Prior to 1990, David spent over 10 years in various levels of hotel and restaurant management. David achieved the personnel industry's prestigious "C.P.C" designation in 1992. In 1999, David opened DWG-HR Hospitality Recruiters (originally Gladieux & Associates) in Manchester, NH. Since then DWG HR has expanded in the Southeast, adding offices in Columbia, SC, Charlotte, NC & Raleigh, NC to cover South Carolina, North Carolina and Southern Virginia. Tina Olson joined DWG-HR in October, 2009 and is Regional Manager for the Chicago and Indianapolis area offices. Tina joins DWG-HR with over 10 years restaurant management experience and ownership background. Christine Currier joined DWG HR in 2016 and is Regional Manager for New England. Christine brings over 20 years of restaurant management experience in New England. DWG-HR's expertise is in the recruitment of entry to multi-unit managers for clients in restaurants, hotels, resorts, inns and country clubs. DWG-HR also recruits for the retail and customer service industries. We welcome you to contact us for your recruiting needs, whether you are seeking professional employment, or if you are an establishment seeking high quality candidate.